(Advocacy4oromia, 9 July 2015) At least six Oromo university students were also among three journalists and two bloggers released from Ethiopian prison yesterday, according to various reports. The freed Oromo university students include Adugna Kesso, Bilisumma Dammana, Lenjisa Alemayo, Abdi Kamal, Magarsa Warqu, and Tofik. All were students who were arrested by security agents from various universities located in the Oromiya regional states. No charges were brought against many of them in the last year and three months. The arrest of unknown numbers of Oromo University students followed a May 2014 brutal crackdown by the police against university students who protested when a master plan for the expansion of Addis Abeba, the city originally home to the Oromo, was introduced by the federal government. Two months ago, student Nimona Chali, one of the detained students, was released from jail without charges. 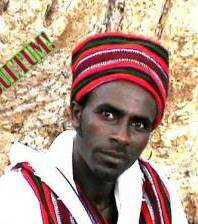 Abebe Urgessa of Haromaya University is still in Qaallitti prison. Student Aslan Hassen died in prison in what the government claimed was a suicide. However, many believe he was tortured to death. No independent enquiry was launched to investigate his death. By the government’s own account, eleven people were killed during university student demonstrations in many parts of the Oromia regional state. However, several other accounts put the number as high as above 50. Abebe Urgessa was a second year student, Water Engineering Major, at Haramaya University. After classes were interrupted following the ‪#‎OromoProtests‬ movement that swept the whole nation in April 2014, Abebe like many other students went to visit his family till the classes resume. He was arrested upon arrival at a small town called Teji, in South west Shawa, where his families are living. After detention incommunicado for three weeks, he was falsely accused of standing in a market place telling people not to pay taxes to the government. 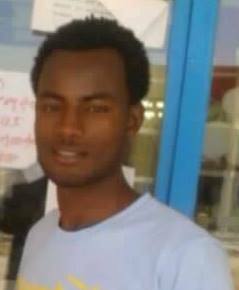 Though the court released him on bail on the 21st of May, 2014, student Abebe was abducted again just a week later on the 29th of May. While his where about still remains a mystery to this very date, it’s known that the government accused him, on its media outlets, of detonating hand grenade at the Haramaya University facility. 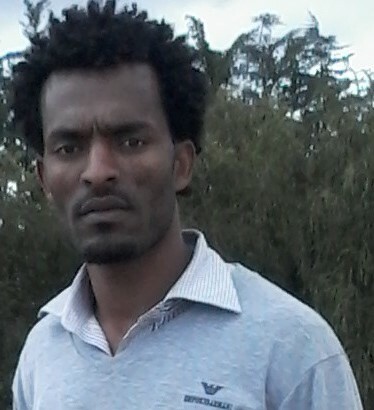 Abebe’s story designates with many other innocent Oromo students unlawfully abducted and falsely accused with bogus charges while being taken to or kept at undisclosed detention centers under severe tortures, more often than not. His story is just one among the many. Posted on July 9, 2015, in Finfinne, News, Oromia and tagged Afaan Oromo, Afan Oromo, Africa, African language, Ambo University, Amnesty International, anthropologist. Bookmark the permalink. Leave a comment.